In the recent 20 years, fertilizer industry maintained a rapid growth in China. The total output of fertilizer rose from 27 million tons in 1998 to 53.4 million tons in 2006. Fertilizer consumption kept a stable growth; industry prosperity index remained high level; industry fixed asset investment increased largely year by year. This special report will estimate and analysis investment value in China fertilizer industry. 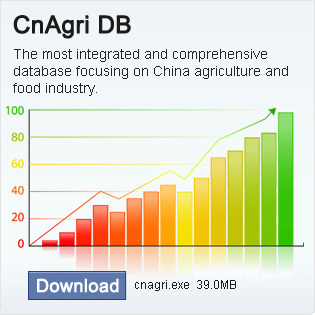 On the basis of data and information provided by State Statistics, State Customs, China Chemical Information Center and fertilizer-related associations, combined with value and data, it analysis the past and current situation of fertilizer industry and estimates the future trend of fertilizer industry in the next 5-15 years in order to estimate investment opportunities and value in China fertilizer industry and other related industries. It will respond the questions insiders required by analyzing the following aspects: policy environment, supply and demand situation, material support and cost & profit: 1 What is the policy environment prospect of fertilizer industry and other related industries in China? 2 How much potential will fertilizer demand grow further? 3 What is the growing trend of supply capability of fertilizer industry in China? 4 What is the change of support capability of raw materials used in fertilizer industry? 5 What is the changing competitiveness between fertilizer industry and other related industries? 6 What is the prospect of fertilizer industry in China influenced by the factors of policy environment, supply and demand situation, material support as well as cost & profit? 7 What is the prospect of investment opportunities and value in China fertilizer industry and other related industries in China?